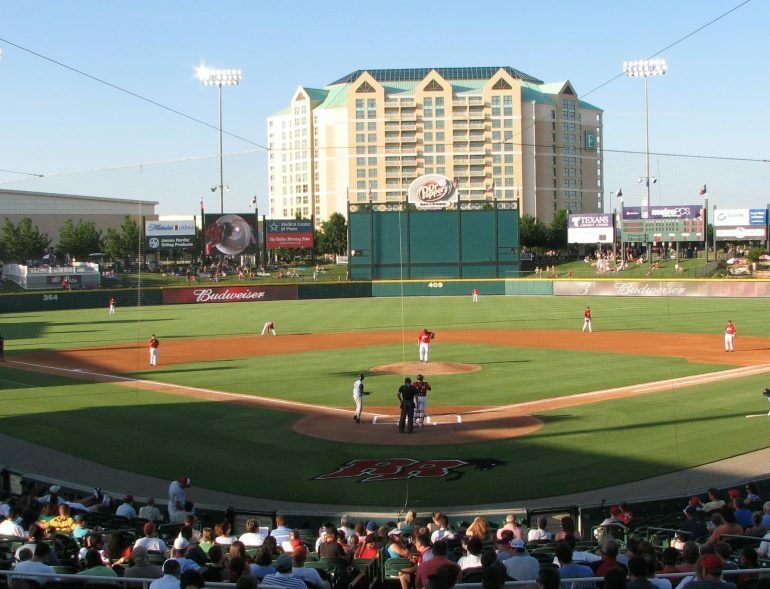 It’s hard to believe, but the Frisco RoughRiders’ season is just a few weeks from finished. In honor of the seven home games they have left in the 2015 season, here are the Top 7 Reasons you need to head on over to Dr. Pepper Ballpark pronto. You call them your best friends, but when was the last time you took out your dog for a night on the town? Well the Frisco RoughRiders are having their annual Bark in the Park night next Wednesday. Not only will your furry friend get a chance to dig on the sweet smells of summer baseball, they’ll also get to roam around in the grass just beyond the outfield wall. If you’re the type that goes to a Rangers game and just can’t fathom the swollen price of beer, well, you’re not alone. This is why the RoughRiders are holding their infamous Thirsty Thursday one last time in 2015…featuring $1 (ONE DOLLAR!) 12 oz drafts and sodas. C’mon, you don’t want to miss out on this! Even after the Texas Rangers acquisition of Cole Hamels drained the talent pool, there are still more than enough top-flight prospects for the system to be ranked in MLB’s top 10. And many of these five-tool phenoms reside right in our own backyard, playing for the Frisco RoughRiders–from Lewis Brinson to Ryan Cordell, with more top talent on the way. Frisco’s Dr. Pepper Ballpark is not as overwhelming as the Rangers’ Globe Life Park, but it’s every bit as charming. People come for the baseball, stay late for the fireworks shows, and are constantly entertained by in-game promotions and excellent concession stand specials. 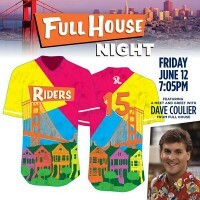 The Full House jerseys were certainly eye-catching. Speaking of promotions, the RoughRiders have earned the reputation for putting on some great ones. Whether it’s “Full House” Night on a Friday, or just one of the many post-game fireworks extravaganzas, there is always something fun going on at Dr. Pepper Ballpark. And just as every parent knows, the trick to a fun night out with the family is all about keeping your kids entertained too. Dr. Pepper Ballpark features myriad entertainment options. From appearances by Deuce and Daisy to an awesome playground area, your kids will be sure to have a great time at the ballpark. There is perhaps no town in this part of the state that offers as many amenities as Frisco. And despite a whirlwind of entertainment options, Frisco has still maintained a quaint, small-town feel. Just remember, even though you start your night at a RoughRiders game, doesn’t mean you have to call it quits afterwards. There are many excellent late night haunts for you and your loved one just around the corner. The Frisco RoughRiders are on pace to break their attendance record this season, and they have you to thank for it! Back in May, they set a one-game record on Full House night, and they have been packing them in ever since. Come on out and support Frisco’s finest while you can—you won’t regret it.